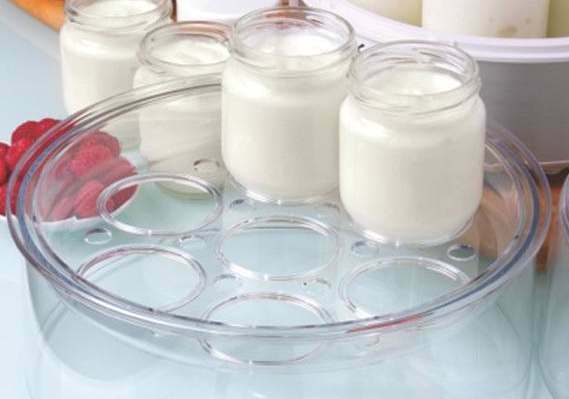 Euro Cuisine has devised a way for you to add 7 additional glass jars to the already impressive 7 glass jars included with each yogurt maker (can be used with Euro Cuisine Yogurt Maker Model Number YM80, YM100, and YMX650). The possibilities become endless. You can make a batch of your favorite yogurt. Or, you can make several jars of multiple flavors. Please add only one tier per unit as the temperature varies too widely by adding more. Yogurt Makers, extra glass jars, and yogurt making accessories are sold separately.